There are any number of heated issues in the news today from immigration to what's being taught in our schools. And there's no better person to help understand these issues than the head of Plunkett Cooney's Government Affairs Practice Group and former Mayor of Royal Oak Michigan, Dennis Cowan. 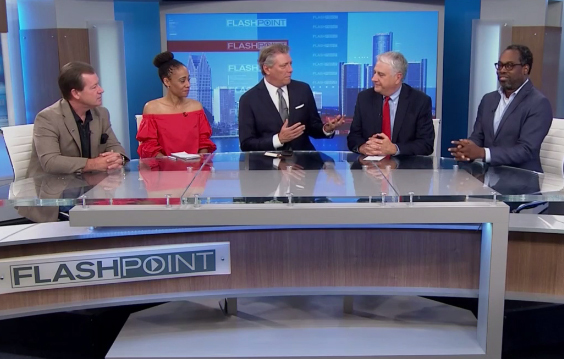 That's why WDIV Channel 4 News anchor Devin Scillian recently invited Dennis to join his FlashPoint panel discussion focused on today's hot topics. Click here to view the FlashPoint episode.